Sneaky drinking may be mostly in my past (well, except for golf courses), but it's still nice to see some innovation in the area. 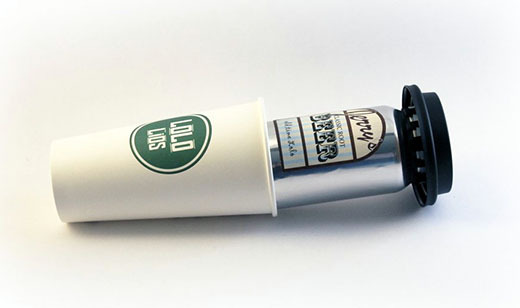 Lolo Lids are the latest clever iteration: looking just like the Solo lids used on to-go coffees everywhere, they attach to your choice of disposable coffee cup. But secretly inside that cup, they're holding a beer can with plastic clips and a spill-proof silicone seal. Pretty convenient - and preferable (for reasons I can't quite seem to enumerate?) to just pouring the beer into the coffee cup. Cheers!